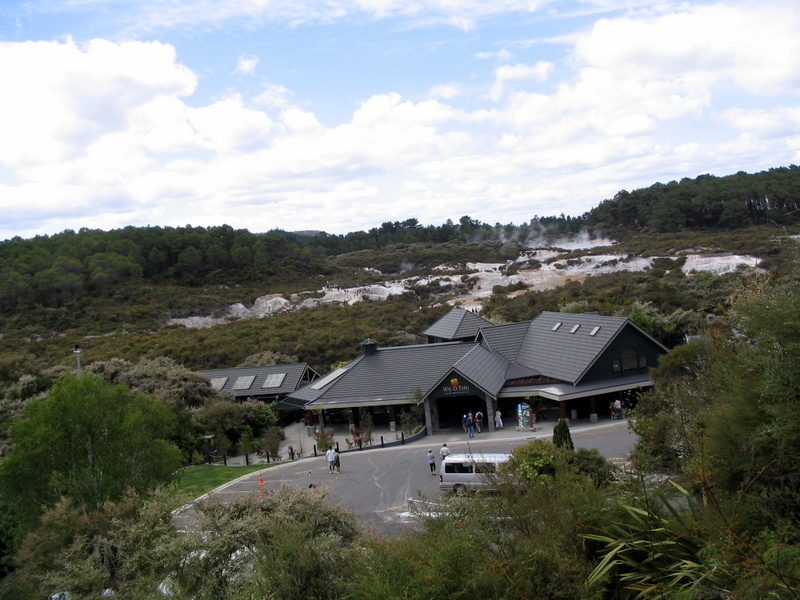 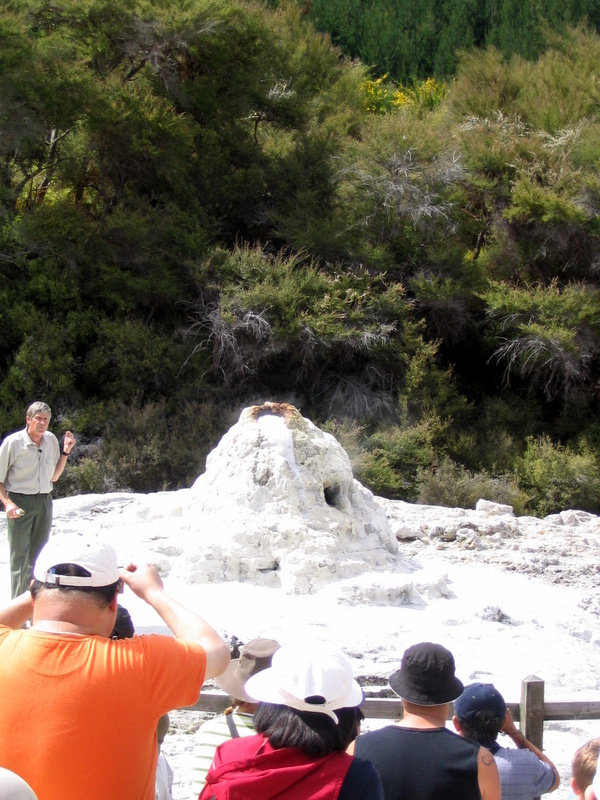 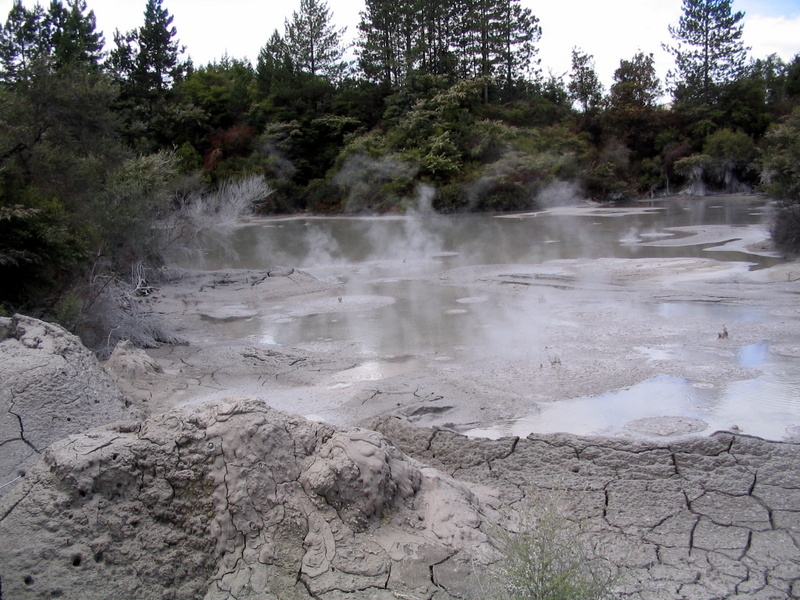 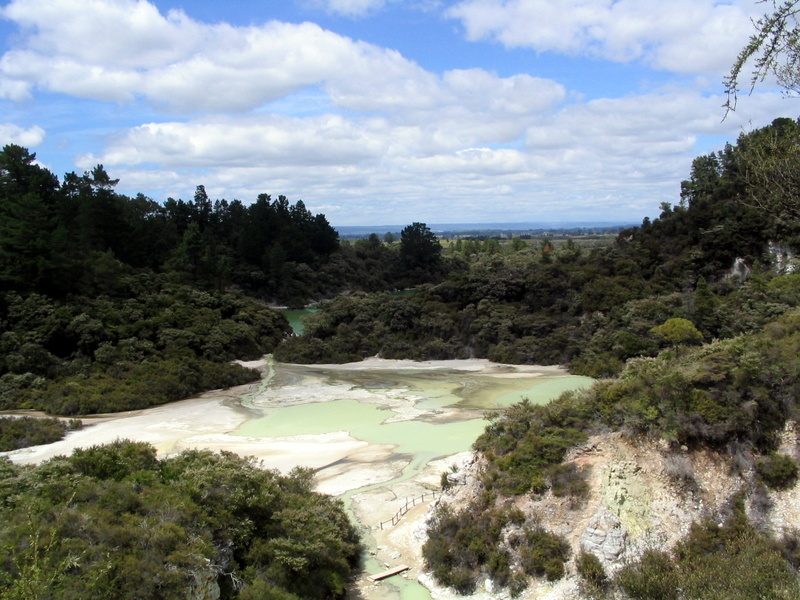 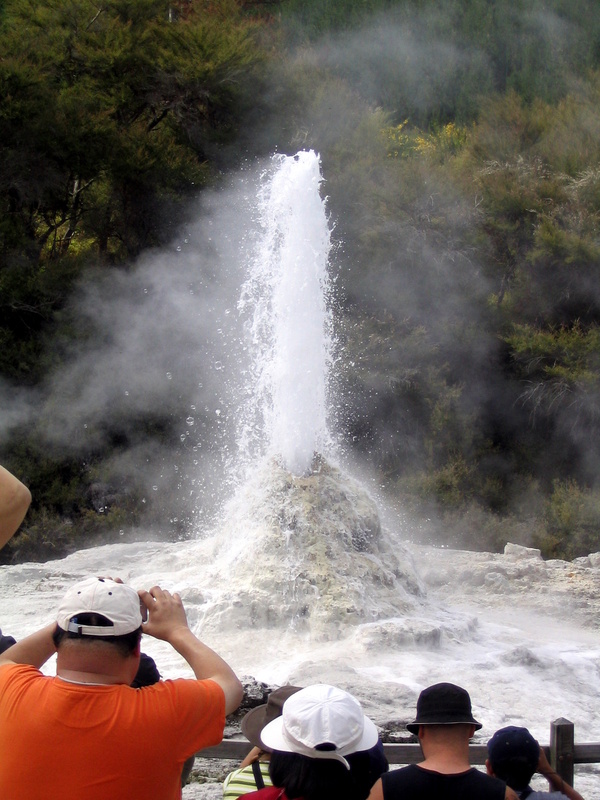 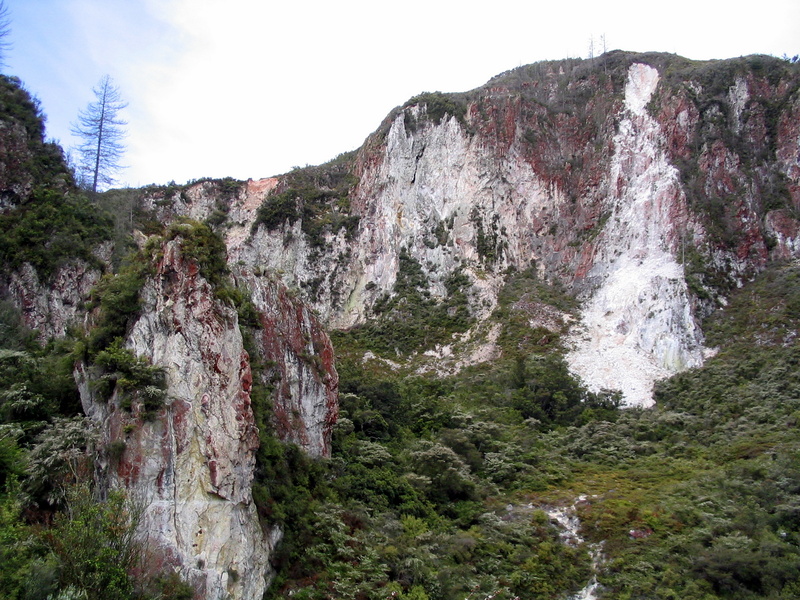 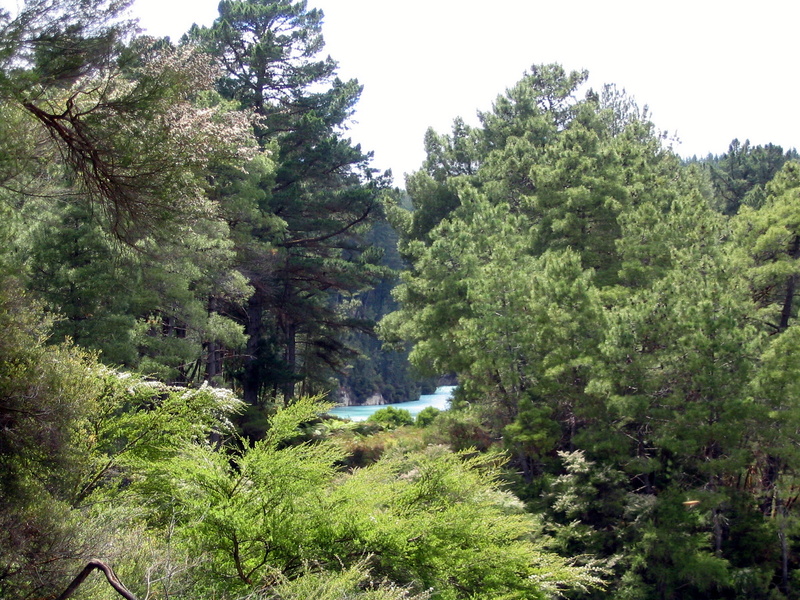 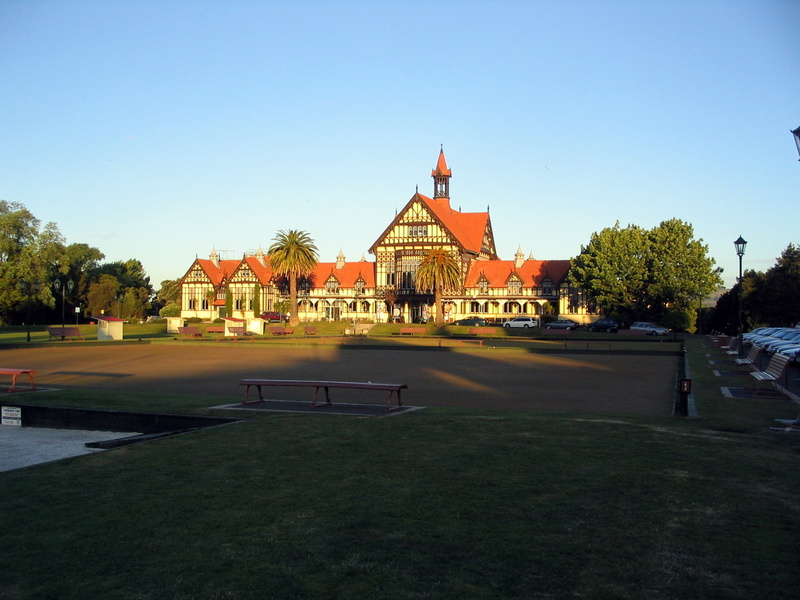 Walking in New Zealand: Rotorua Volcanic landscape . 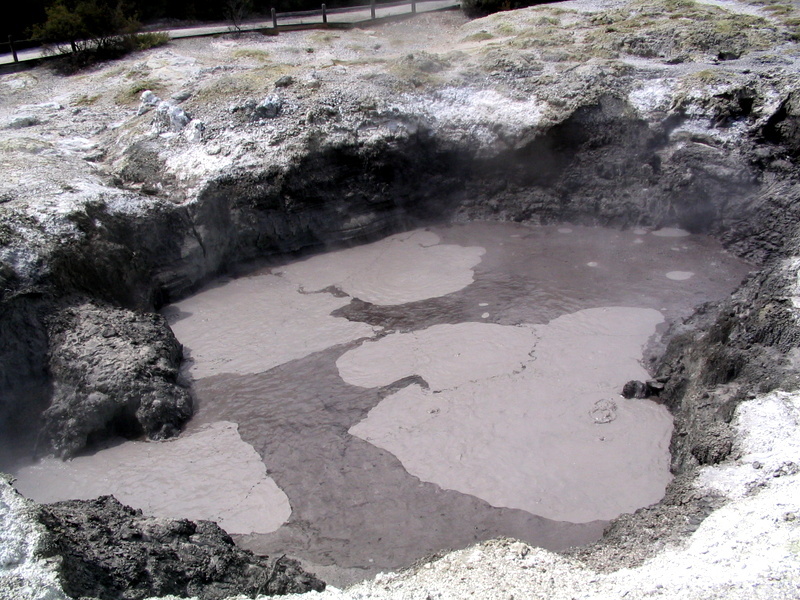 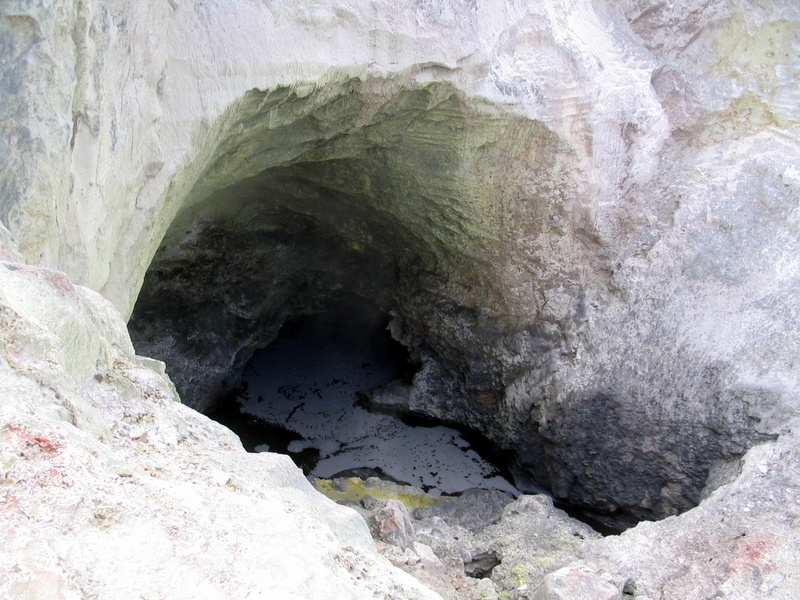 Scattered here and there are steaming pools and bubling volcanic springs. 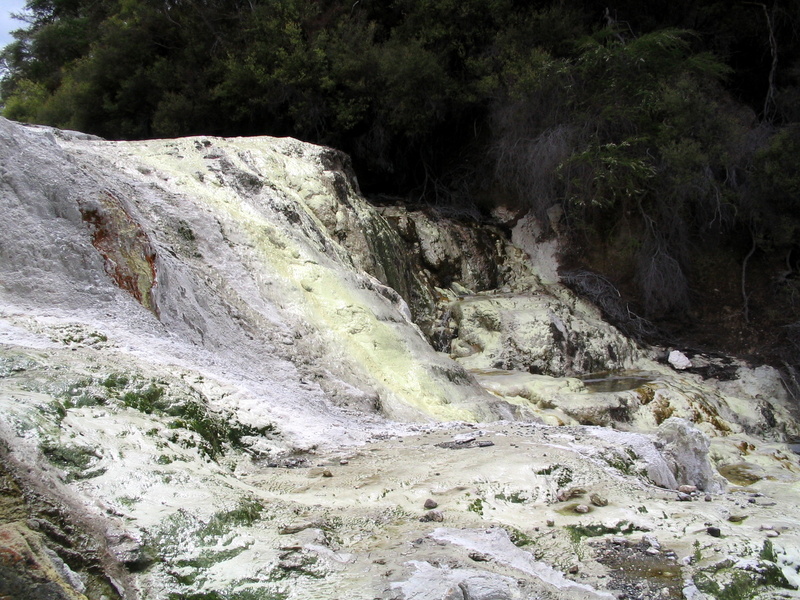 There is a stench of hydrogen sulphide in the air, but your nose rapidly becomes numbed to it. 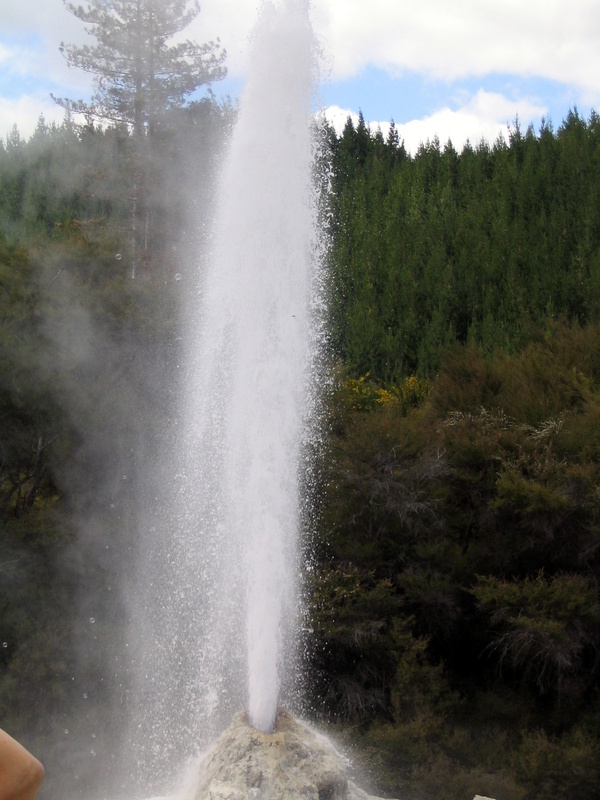 The Lady Knox geyser is set off every morning at 10.15, so you need to arrive in time to get your ticket, and then drive the short distance to the geyser. 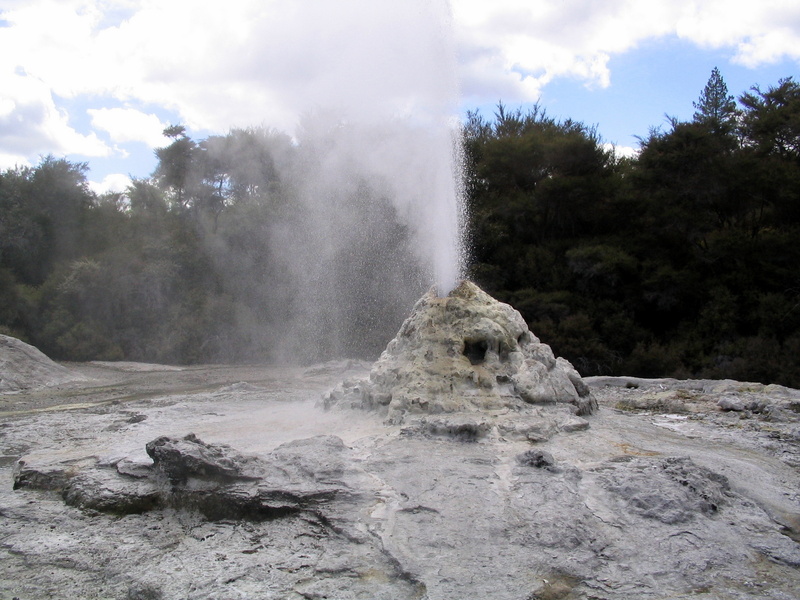 These slurp and burp beside the road.